Confidence isn’t particularly high at the Research In Motion camp. After reporting pretty dismal Q4 numbers late last month, CEO Thorsten Heins admitted there was “no guarantee” the company would ever turn its fortunes around. But there may be light at the end of the long, dark tunnel. According to RIM’s senior vice president of BlackBerry security, Scott Totzke, the Waterloo-based company’s market share the U.S. government market “is probably increasing.” Probably. In an interview on April 5, Totzke said RIM sold 400,000 devices to the U.S. federal government over the past twelve months — 40 percent of those sales were for upgrades to a new BlackBerry device. The numbers are encouraging, but that doesn’t mean all government agencies are on board with the Research In Motion train for the long haul. Joe Consumer has already jumped off of the RIM bandwagon, though: the company’s market share fell 57 percent in the U.S. last quarter, according to Bloomberg Businessweek. 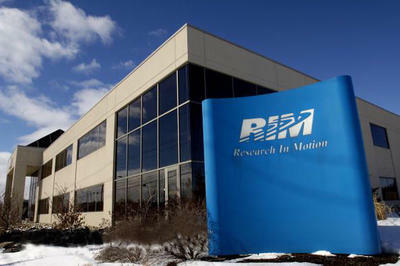 Totzke’s comments hardly mean RIM is getting itself back on track. Totzke said RIM’s share in the U.S. government “is probably increasing.” That’s not much different than hearing Heins say there is “no guarantee of success.” As we said a few weeks ago, if RIM’s CEO can’t guarantee success, who can? It’s hard to have confidence in a company that’s unsure of itself.